Dr. Emmons’ research is at the interface of personality, psychology and religion. Emphasis is on the measurement of personal strivings as determinants of subjective quality of life outcomes. Primary issues are (1) how religiousness and spirituality reflect core aspects of the self and identity, and (2) how these aspects of the self are involved in well-being and personality coherence and integration over time. 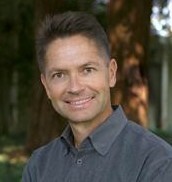 Dr. Emmons is a consulting editor for the Journal of Personality and Social Psychology, a member of the editorial board of the International Journal of the Psychology of Religion, and a member of the American Psychological Association, the Society for the Scientific Study of Religion, and the American Academy of Religion. He is the author of The Psychology of Ultimate Concerns: Motivation and Spirituality in Personality. His research is funded by the John Templeton Foundation.